All eyes may be on Sochi for the Winter Olympics this week, but next month, the great race happens in Alaska when the Iditerod begins. Kids are fascinated by this race – from its historic roots in Balto’s story to the modern tales of dogsled teams, and there’s a great new book out today that captures all the excitement of being a musher. 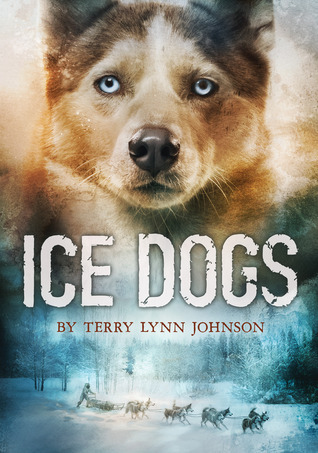 While not an Iditerod tale per se, Terry Lynn Johnson’s ICE DOGS is the story of 14-year-old Victoria Secord, a dog sledder who loses her way in the Alaska wilderness and must survive the elements, along with a mysterious boy who turns up in the woods. ICE DOGS is a serious page turner, one of those perfect hot-chocolate-by-the-fireplace reads. It’s a book for dog lovers, to be sure, but also a riveting survival story, perfect for middle school and high school readers who love Gary Paulsen and are ready for something a little older. Pair it with Paulsen’s memoir for adult and older YA readers, WINTERDANCE: THE FINE MADNESS OF RUNNING THE IDITEROD, in high school classrooms and literature circles for some great discussions.